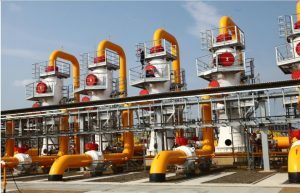 The Management of Ghana Gas has refuted allegations by workers of the Atuabo Processing Plant that fire safety systems at the plant have been compromised. Corporate Affairs Manager of Ghana Gas, Alfred Ogbamey explained that contrary to claims by the demonstrating workers, “the plants do have fire extinguishers that have not expired and those that have expired have been selected and kept in some room”. “Some of the staff have deliberately twisted the facts and are selling it out to the media,” he said Friday August 26. According to him, what the workers did was to display photos of items, for example, of fire extinguishers that had been tagged for replacement in a planned maintenance shutdown scheduled for between 31 August and 7 September. He told the media that workers “snapped pictures of those fire extinguishers and misrepresented those facts to the media”. Scores of workers at the Atuabo Gas Processing Plant in the Western Region staged a protest on over what they described as poor working conditions. According to them, the slightest spark at the facility could cause destruction as fire safety arrangements had been compromised. They explained that expired fire extinguishers had not been replaced for close to eight months with the dates of expiry on some of the extinguishers going as far back as February 2016. Some of the workers also explained that a fire prevention system at the facility was out of order, which puts lives in danger in the event of any fire accident. They pointed out that they had been filling safety forms everyday requesting for an overhaul of the fire systems but management had told them funds were not available for that. “These are fire extinguishers that have expired for more than eight months and when engineers brought the extinguishers out, they were given queries; this is how the company is being managed. We have a very high level of inefficiency in management,” a worker disclosed on condition of anonymity. It took the intervention of personnel from the Ghana Armed Forces (GAF) to stop the workers from besieging the premises of Ghana Gas, the company which oversees the day-to-day running of the plant. The workers also appealed to government to dissolve the entire management for failing to address key issues surrounding their working conditions.